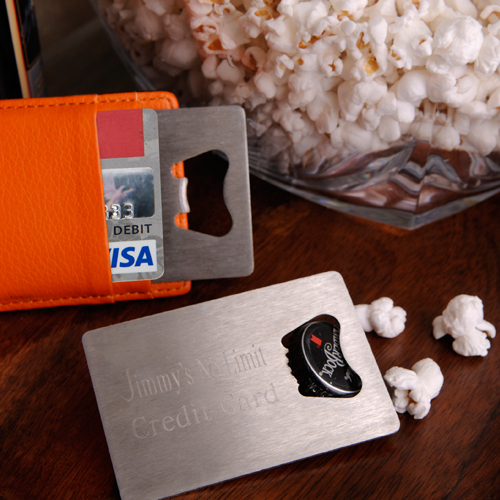 * A fun novelty piece, this Personalized Credit Card Bottle Opener is small but powerful and is durable enough to tackle any bottle cap. * Easily stored in a wallet or other small space, it's made of sturdy stainless steel and is the perfect tool for your favorite beer lover. * Measures 3 1/4" x 2 1/4" x 1/16". 3.25" x 2.25" x 0.0625"